It never seems to matter how deep into the thick of winter we are. The moment a warm, sunny day arrives, even as the faintest flash of light on an otherwise cold, foreboding horizon, the garden inquiries come flooding in. And the general tone of the inquiries? It seems that everyone blessed with an outdoor oasis in the midst of the concrete jungle experiences the same sequence of emotions. 2) Once the space is all cleaned up, approach it as you would any new space, namely, ask yourself what its purpose will be and how it will be used. Will it simply be a place of tranquility you would like to view from the other side of your kitchen window? Or would you like to venture out into it? Dine outside? Entertain outside, or have a play area for your kids? 3) What are your priorities? Is there an eyesore somewhere you would like to cover with vines and greenery? Would you like to create immediate privacy? 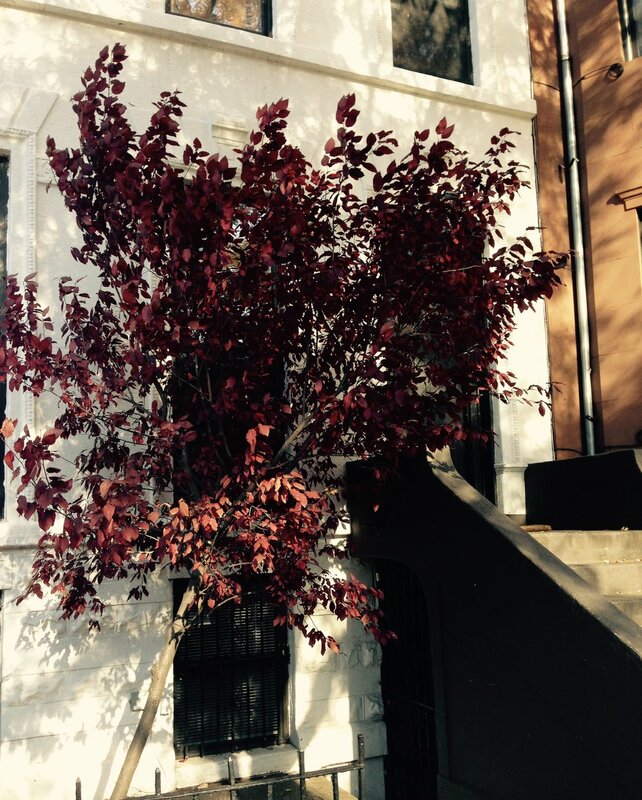 4) What is your garden aesthetic? Even if you know nothing about plants, ask yourself whether you like things leafy and wild, structured and architectural, or somewhere between the two. What is the aesthetic of your home’s interior, and to what extend would you like to carry that look outdoors? Would you like to close the space up for intimacy and privacy, or open it up for a feeling of expansiveness and views? 5) Lastly, what sort of commitment can you make to garden maintenance, whether you hire someone else or take it on yourself? Be aware that there is no such thing as garden that requires no maintenance. But perhaps you can ask your designer for something low-maintenance if that is what makes the most sense for you. For those of you DIYers out there who are not sure where to start, contact us for more information about our new Green Thumb Service being offered! A “living centerpiece” adds a beautiful touch to an outdoor table, and it can last the whole season! This might all feel like a lot to wrap your head around now, but it’s early still, and really, planning an urban garden is no different than planning an indoor space. I always approach gardens the way I approach any interiors I am hired to do floral décor for. Determine first how the space will be used. The rest of the plan will follow! As for those of you not blessed with an outdoor space – there is still Spring hope for you yet and I will make the same recommendations to you. Get to cleaning and organizing. And once it is all put together, treat yourself to a vase full of flowering branches. If you bring new life in addition to fresh air into your homes– you will feel as though you’ve welcomed spring! Hiya love birds … February is a romantic time of year - and even more romantic for those of you who have enjoyed an eventful engagement season. We’ve been hearing from so many couples regarding their upcoming nuptials, and I have to say, while I love hearing all their visions, I hate being the bearer of bad news when it comes to educating couples about the expenses of wedding flowers. And not simply because I feel like kind of dasher of all dreams wedding related! 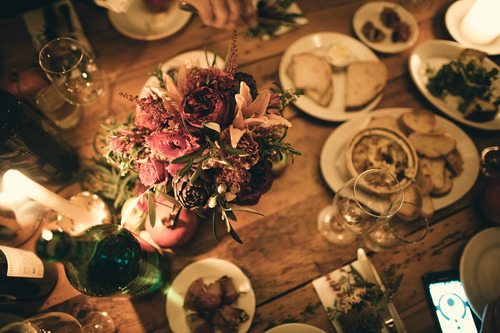 But because we talk and talk during our call, and, being an enthusiastic sort, I get all giddy along with my couples thinking about their celebration, until, their gasps of disbelief audible, we get to talking about a realistic floral budget for all that we’ve discussed. And then my excitement plummets with theirs as I realize that this couple – this being the first time and perhaps only time they have thrown or will throw a party involving lots of flowers and décor, had absolutely no idea of what any of this would cost and are, in the throes of all this romance, about to feel very disheartened. So here I am. Blogging about it. Hoping that these couples will read this before becoming too attached to their visions. Hoping that it will make them feel better not only about their florists but the myriad other vendors you are working with and wondering why they are charging you an arm and a leg, or why they are requiring that you commit to a hefty minimum in order to garner their attention. It is not because we want to take advantage of you. Trust me. I don’t think I have ever not gone over budget for a wedding, or ever not given more than a client has paid for. And I would venture to say many floral designers are in the same boat. Because if I can make a generalization about floral designers with confidence it’s this: We really like things to be pretty! The cost of wedding flowers are simply high because there are so many darned labor hours, totally invisible to the eye that encounters only a beautifully finished product, perfectly placed, on the day of. On your big day, with any luck, you will find your bouquet and centerpieces looking so perfect that you have no doubt they simply fell from the heavens, but I can assure you they did not! As otherworldly as I hope your décor seems, it did not simply appear. There was a huge amount of labor outside of floral arranging itself, starting with proposals, consulting, designing, sourcing, pulling and prepping vessels from inventory, collecting flowers from the market, loading and unloading, processing hundreds to thousands of stems, packing and delivering, setting up and breaking down! ……. Phew, I am tired just having written all that. So I am writing to give you a lens into it all – to help you wrap your head around these giant price tags. Here is my quick summary about why décor ends up being so costly. Cut flowers are expensive, point blank. Even for florists. Did you know that one stem of Ranunculus, fro example, wholesale, can be anywhere from $1.50 to $3.50 per stem? There is a large range of costs per flower stem, and several factors that affect market pricing for those stems at any different time such as supply and demand, seasonality, whether locally grown or not, or the cultivar of a particular flower. For example, weddings around Valentine’s Day and Mother’s Day will have a substantially higher cost per stem. Many more stems go into an arrangement then you’d think. A medium-sized centerpiece, for example, can easily have 50-60 stems in it, depending on flower/greens types. Plus, the more variety of flower types, the more bundles of flowers needed for purchase. Having heart set on glossy Pinterest photos of bouquets and centerpieces that are completely filled with premium flowers also doesn’t help a couple looking to save on flowers. Consulting for full service wedding design over the course of contract can take many. many hours and is not usually billed for, which is why most florists have minimums for full-service wedding design. Floral production usually begins only 24-48 hours before your ceremony for guaranteed freshness, and so involves long hours, lots of staff, and lots of prep, and often higher budgets than planned due to perishability and/or stem breakage. Usually 5-10% of all flowers purchase are unusable (from being broken, bruised, or spent), and so 5-10% more than needed is usually purchased, a cost your florist absorbs. Delivery, set up and breakdown will cost you in NYC! Once décor is produced, it is then very carefully packed, loaded, and transported . Load ins can be difficult, even at venues with easy access, and unpacking, touching up and placing décor takes time. The more elaborate your design, the more staff and time it takes to set up. As for break down, if it’s late night as most venues require, it will definitely cost you. I mean, who would go out in the middle of the night for a couple hours work without expecting to be really well compensated. I can’t speak for other florists, but I know that our breakdown prices are break even! Lastly, keeping or renting a van or truck in NYC is neither inexpensive nor convenient. None of this means there is no help for those with smaller budgets. I am just trying to give you first-time fancy party-throwers the lay of the land. Some florists, including yours truly, offer an A La Carte menu for smaller weddings. In my studio we feel we not only offer this service, but have cracked the code as far as offering great design for a fraction of the cost of full service weddings. But our A La Carte service is not for everyone and will require that you are okay with fewer choices, and less consulting, to enjoy beautiful décor with a smaller price tag. To inquire about a future wedding or event, click here. Be sure to sign up for our newsletter, or check back in soon for our design hacks for making your wedding beautiful without breaking the bank! If you're anything like me, you are feeling a bit crestfallen about the false promise of snow this past weekend in NYC. I've enjoyed a thick blanket of calm since the holidays, but I've yet to experience that ultimate quiet - when you wake up to find that everything around you has been silenced by snow - and I find myself craving that right now. I love the way snow looks of course - that dense white purity which covers everything at the same time as it puts it all into relief - so that, for example, a garden's structure might be visible in a way it wasn't in seasons where myriad textures and colors obscured it. But really I love that first heavy snow fall because it snuffs out all the visual noise of the past year so that we can approach color and texture with fresh eyes, with a renewed interest in the structure and architecture of things. Snow silences a scape in some ways at the same time as it reveals it in others. We see for the first time, the arc or the reach of a Hemlock limb, the lattice and snarl of vines climbing up a building and made skeletal by snow, we see a constellation of small boulders in a field. And, it is simply beautiful and calming and pure. I can't think of a time we've needed that more. So I say bring the storms. Let's be snowed in for a day! Let's look at the outside world from behind our windows at first, and notice all the things we've never noticed and that snow fall has brought into high relief. And later, when we've taken those ghosts of summer in, the grasses tumbled by snow, those forgotten and spindly Echinacae and Eryngium now crowned with ice, let's venture out into it for the sensation of cold on our cheeks, that feeling of scraping fallowed by thaw from the snow that slips into our boots and chafes our bare skin. Let's have our slates wiped clean so we can first reflect then go out into the new with clear minds. Maybe it’s all these lichen stained stone walls beading the landscape, or my early morning foraging walks before the sun beats down on my shoulders and where all is quiet save for a distant dog bark or rooster’s reveille – but I am spending my days in Pantelleria thinking very much about the elemental – about what is raw and pure and of the earth and what it is that got me interested in all things botanical in the first place. I was always drawn to this life because I wanted to celebrate nature, to walk in the woods alone, in the quiet, and collect. I was drawn to the stem by stem meditation of creating a garden plan or floral arrangement. I loved the luxury of studying it all, in the moment, of appreciating the way a palm frond or evergreen bough’s shadow laces a wall, or the way Queen Ann’s Lace unfurls a tight, hirsute fist into a delicate constellation of miniature petals. I wanted to stop and notice the way the bark pulls away from the trunk of a silver birch, or what grasses look like in a breeze. Somehow, in all the commotion and chaos of running a small business I lost the plot. 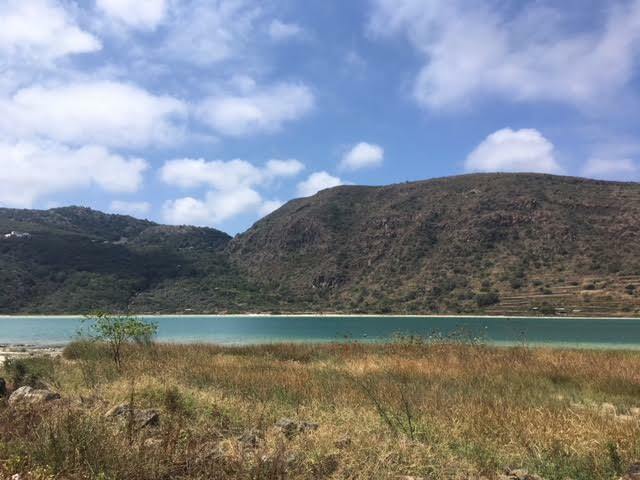 And I needed a place like Pantelleria to hit me over the head with my own storyline – a place where plants push out through every crevasse, every fissure possible, where the sheer diversity of flora means I could walk this little Mediterranean island for the next 60 years and never see it all. And I needed a place like this to remind me that even though I cannot see and experience all of its growth, I’d like to try. And so I am taking all this back to NYC with me as a sort of end of summer resolution. My work will not just be about work – but about passion. I will take jobs that allow me to consider movement and texture, I will make time to forage again, I will surprise my couples with little pieces of the unexpected and the natural in their tablescapes and ceremonies, something I have sourced just for them. When I design gardens I will think about texture and growth and the constant movement of a plant. I will remember that the wonder of all things natural is that there is nothing static, everything changes, and beauty is not just about symmetry and perfection, nor is beauty always distilled, it's often a little dusty and rough and raw. 501 Union wedding ... a floating garden installation. After the long monochromia of winter, it is hard not to focus only on the colors and brightness of spring. First comes the blinding yolk yellow of forsythia, then the huge, waxy, luminous blooms of saucer Magnolia, then the pink froth of cherry blossoms above our heads, followed by the long lavender chains of Wisteria blossoms… There is no denying that all this, with its background of lush greens, is a sight for sorely color-deprived eyes! But a recent event, for which I had the honor of designing centerpieces that represented the new fragrances of Norell, reminded me that there is more to spring than sight and, not surprisingly, had me thinking more about scent than I had done in a while. First, on very personal level, the event was particularly evocative for me as my mother has been a Norell devotee for 55 years, and I have fond memories of being a young girl and teetering around in my mother's shoes and slip watching her get dressed to go out. I remember feeling absolutely dizzied by the glamour of it all, the cool silk of her slip on my skin, the perilous height of my heels in her shoes, the pain I felt as my little feet slipped down the arch, my toes getting crammed into the toe of her shoes. I remember the film still look of my small freckled face in the background of the mirror, looking at my mother look at herself and apply viscous creams and silvery powders. This breathtaking regimen always culminated in an atomized coup de grace – a cloud of Norell around her long beautiful neck, a scent so heady and intoxicating to me – as thrilling as teetering around in her high heels - that I could taste it. This event was a wonderful one for me not only because their scent had such a place in my childhood. It had the added value of making me consider scent, and to consider it not as secondary to sight, but of equal importance. And it made me realize that the scents of spring are often overshadowed by the more immediate and pervasive impact of color. And on another note - pun intended – it was exciting to indulge in scent for this job, as florists are often asked to limit scents in centerpieces as some say scent affects the flavors of food. But I say let the arrangement waft! Scent is just another layer of life, and if some heady lilac influences the way your palate receives a citrus dressing, so be it! We should make room for scent in our gardens as well – especially our urban gardens, where these moments of green are oases from the hustle, the noise, the pollution, the chaos of city life. Walking around my Brooklyn neighborhood, I have now been more aware of what smells good, and have of course been stopping to smell more than the roses. As you plan your gardens or dinner parties this spring and summer, I hope you will consider the power of scent. If you are anything like me, you are just dying to say, with conviction, "spring is here." We've had so many false starts in NYC this year. Everything seemed to be going so well, with February feeling positively balmy - so warm, in fact, that on a mid-February visit to a client's terrace I saw that last season's Gardenias - not even close to hardy in our zone - were still alive. And the star jasmine? Looking positively verdant. A first in my gardening career. But that was before the mid-March snow and freezing weather. And before, with my tail between my legs, I hopped a flight to Florida where I could drown my sorrows in seas of big green foliage. I indulged in the landscape immediately, wandering the sand trails of the Hobe Sound Wildlife Refuge, and then finding my way to the tamer, yet no less glorious Four Arts Botanical Gardens. And there I basked in all that big, leafy drama, feeling a little jealous of the proportions of it all, wishing that every once in a while I had something a little meatier to stick my green thumbs into, a northern equivalent to that mammoth Philodendron that was scaling the rough bark of a native tree. Photos, top left and two below, Four Arts Botanical Gardens. And then I remembered. The little jewel box patio in an UES townhouse we are installing this spring, with palms and ferns infinitum, touches of Chinoiserie and faux bamboo furniture. I cannot wait to make that little hardscape of bluestone and wood into a lush oasis of soft fronds and ferns cascading from wall mounted planters and springing from each corner. 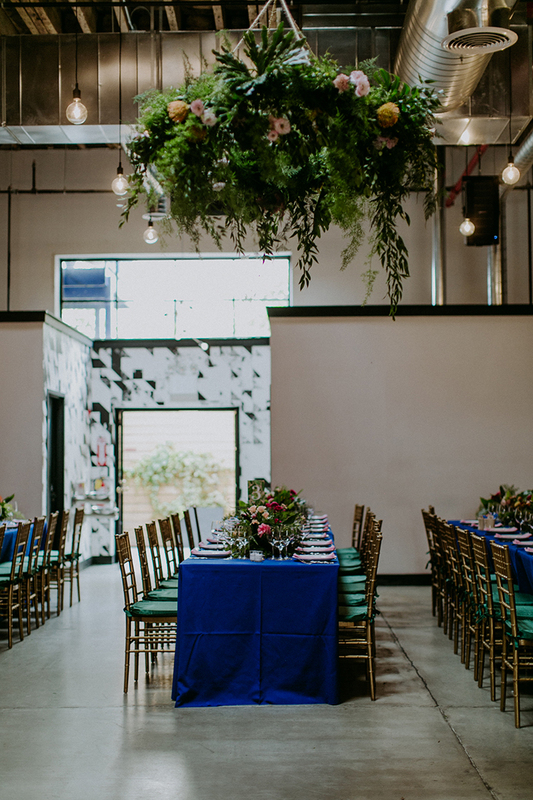 And then there is that June wedding, in a raw industrial space, just begging for strong, architectural fronds, that somehow manage to soften the space while staying in keeping with the modern lines of it all. While standing there in the sun, I thought of all that, and remembered why I was there. For warmth, of course, but mostly for inspiration, and hope. Because those are what the growth of green things give me. A centerpiece sample for an upcoming wedding.